It’s always amazed me to see really well-done ASCII art. It’s incredible to see how much people can do with so little, and how far people can take such a simple concept. 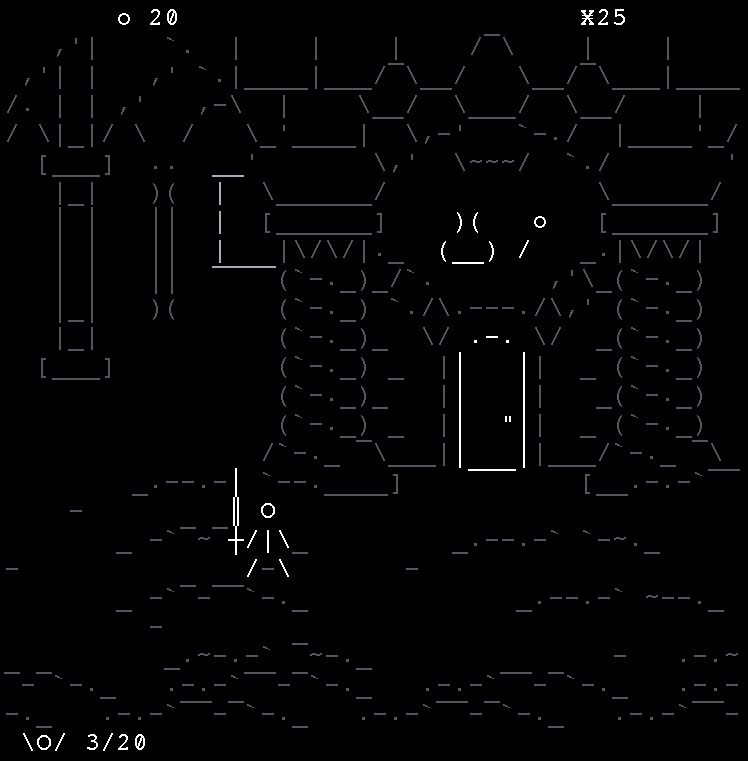 There have even been entire games made with ASCII art, although it’s less common. 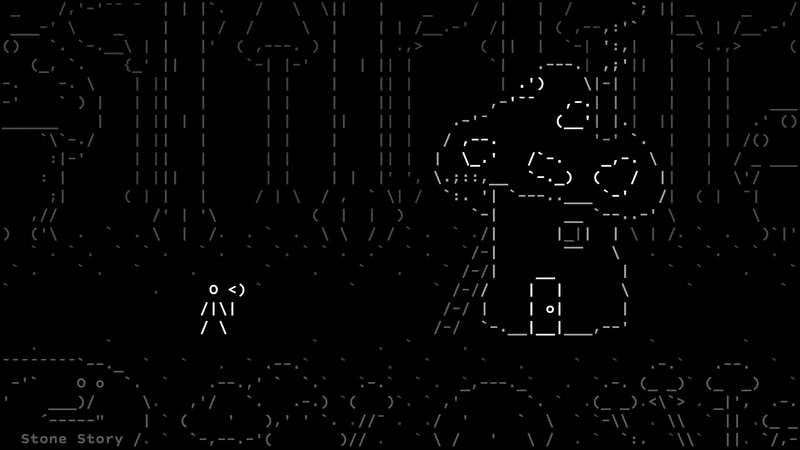 Now, ASCII artist Gabriel Santos is throwing his hat into the ring with developer Martian Rex and Stone Story RPG, a simple RPG made with ASCII art and animation. One thing I wasn’t expecting when I started the game is how much of it is automated. The character progresses automatically through areas, collecting any resources found and fighting enemies with whichever weapons you have equipped. There are puzzles to solve, often involving using items and tools that can be crafted between areas using the resources you collect. It’s simple, but it makes a decent idle game, and since the only input it requires is the mouse it also works well on mobile. The mobile version is what I played, on the developer’s iPad, since the PC demo stations were both occupied when I had my appointment. Based on what I saw there were no significant differences between the PC and mobile versions; the control is largely the same using the touchscreen instead of the mouse, and the nature of the graphical design means it can be scaled very easily to match any screen size or resolution. It seems like a rare case where neither version of the game is noticeably inferior, with seemingly the only significant difference between the PC and mobile versions being the screen size and resolution. 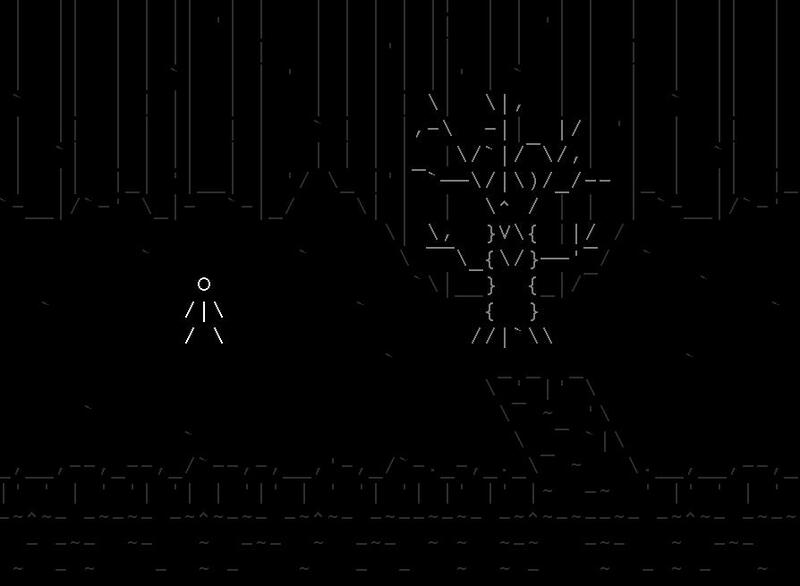 As I mentioned at the start, Stone Story RPG‘s graphical design is incredibly striking and distinctive, consisting solely of ASCII characters of varying colors – mostly different shades of gray – against a flat black background. The animations are surprisingly elaborate and smooth considering the medium, with the occasional well-crafted cinematic further enhancing the experience, such as watching the player character canoeing across a moonlit river beneath a sky full of stars. The enemies, especially the bosses, are also an impressive sight, again with shockingly smooth and intricate animation. You learn quickly while playing how the game represents different objects, as well as getting better at interpreting the art style in general. It’s not entirely clear how much of a story will actually be present in Stone Story RPG, with the demo only covering the beginning of the game, starting with a strange stone with an eye carved into it. It will be interesting to see how the game holds up when it releases in full in early 2019, if the art style retains its novelty or if it picks up more of other elements to drive the game forward and retain interest. The development process is quite open, with an official Discord server where the developer can interact directly with the community as well as having streamed development on Twitch in the past. When the game launches, it will initially be available through Steam on Windows, Mac OSX and Linux, with the iOS and Android version following afterwards.